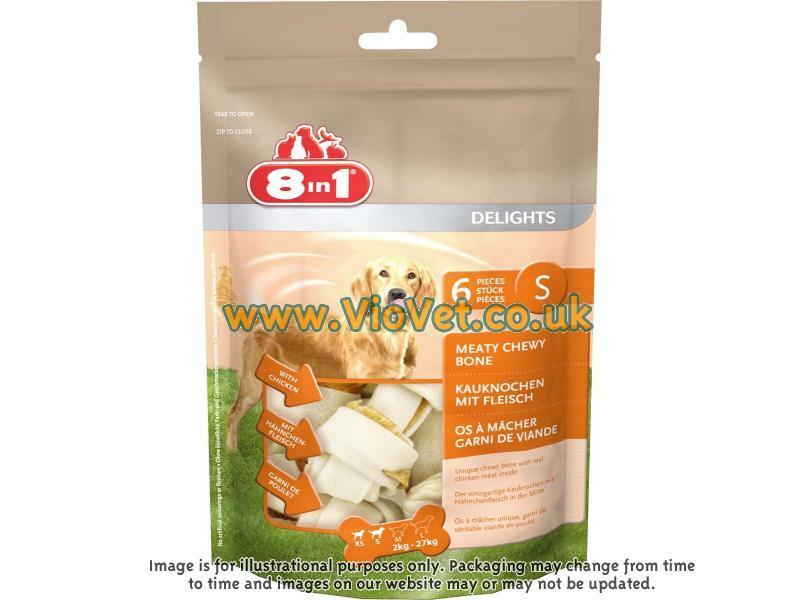 8 in 1 Delights with Chicken are a combination of tasty chicken wrapped in either rawhide (original) or porkhide, to give your dog a unique combination of chew and treat. 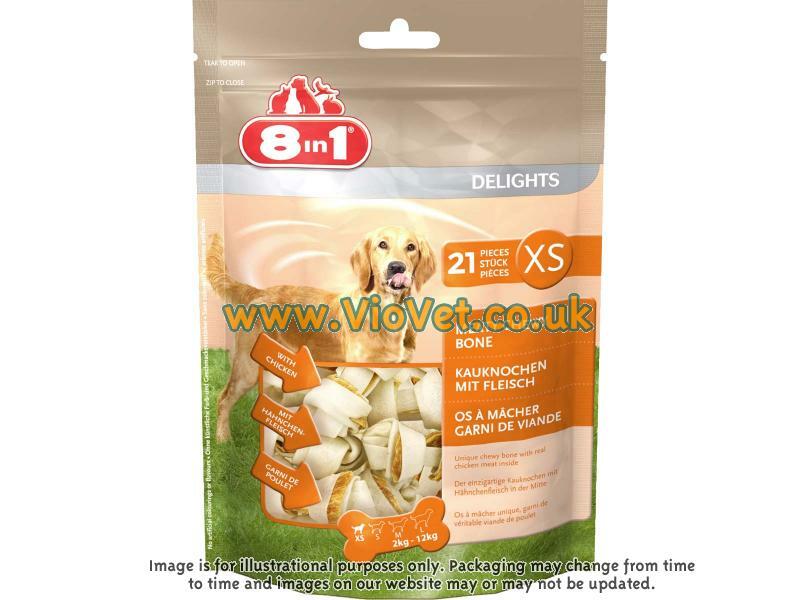 They contain only 2% fat and can help to clean your dog's teeth and remove build-up of plaque and tartar. They contain no artificial flavours or colours. 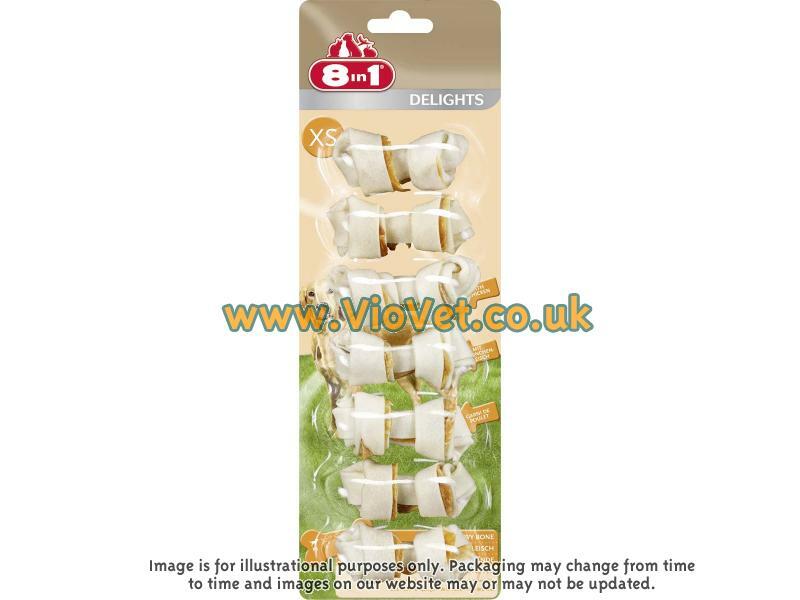 Rawhide, 17% - 23% chicken meat, minerals. 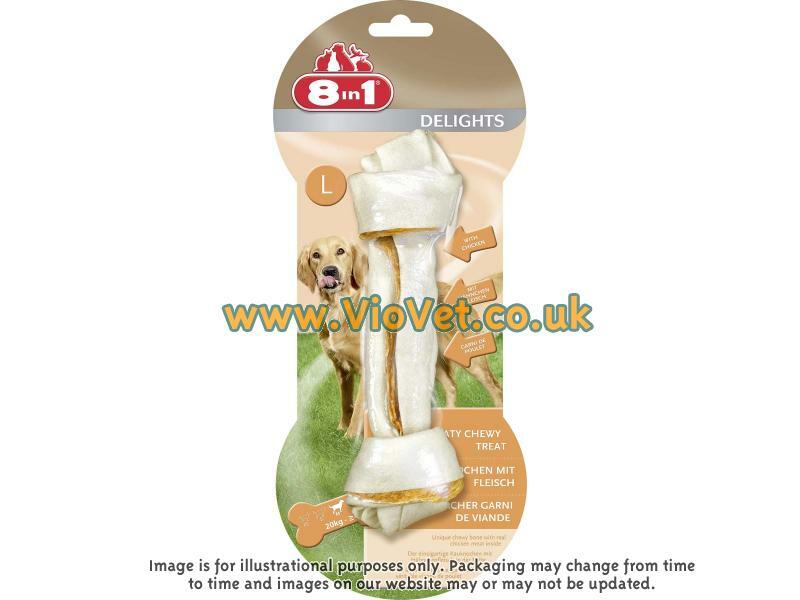 The following table shows the recommended size that the 8 in 1 Delight Chews are suitable for. 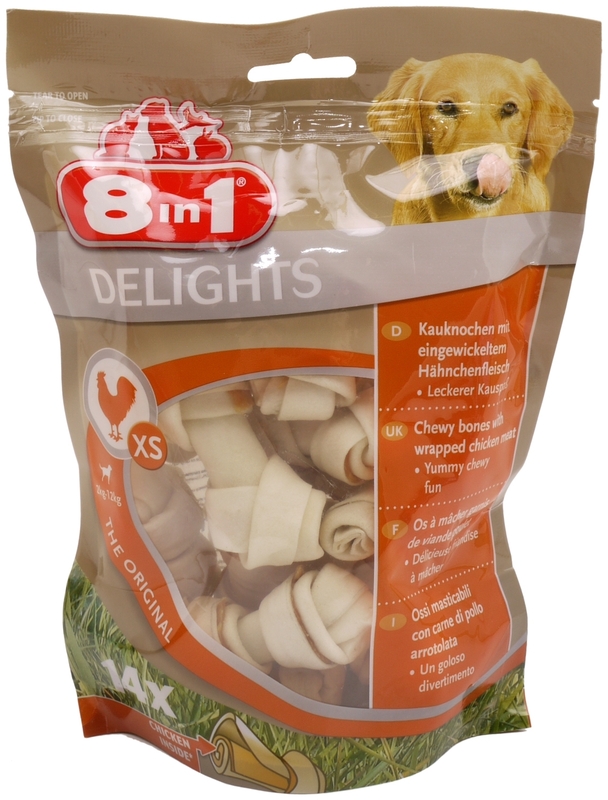 There are currently no questions for 8 in 1 Delights Chicken Dog Chews - be the first to ask one!